Hi friends! 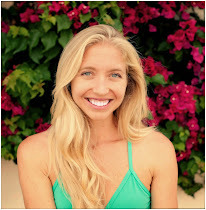 In addition to teaching yoga and writing, I also manage two awesome yoga studios here in San Diego, which means I get to coordinate really cool yoga events! Here's the next event you won't want to miss. 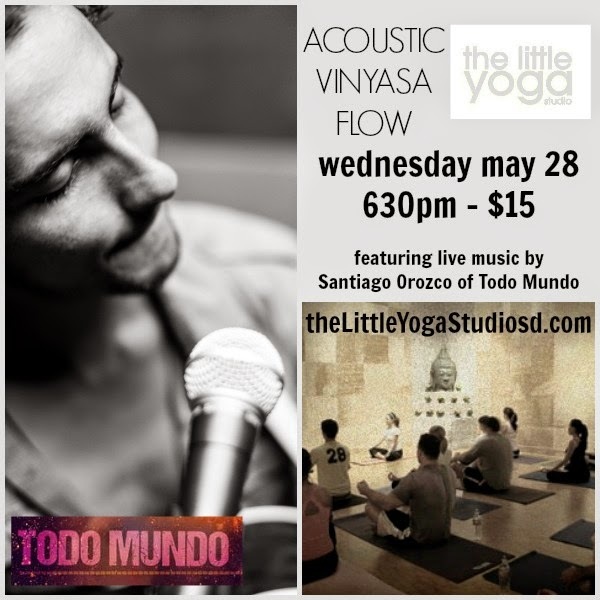 I've got Santiago Orozco, lead singer of local band, Todo Mundo coming in to jam and sing live while my good friend and studio owner Heather Grisco teaches a dynamic vinyasa flow class. Santiago's voice is magic. I play his band's music in my classes and am stoked he agreed to partner up with us. 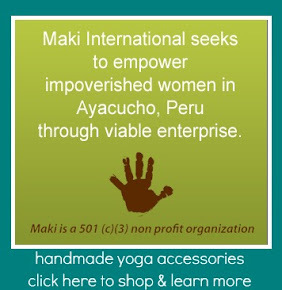 We're hosting this at our downtown studio at 6:30pm on Wednesday, May 28. Hope to see you there! Treat yourself to this amazing experience! Limited to only 20 participants, reserve your spot in advance here.